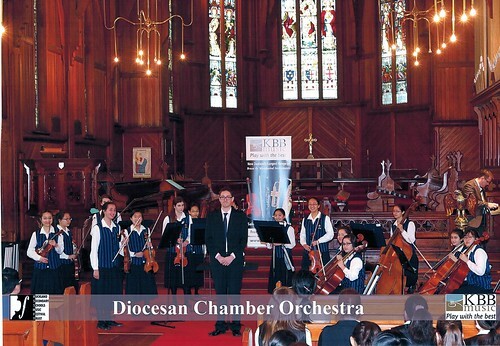 This year the KBB Music Festival stretched its legs and was held at the Holy Trinity Cathedral and St Mary's Church in Parnell. It was one again an absolute hit, even considering it had to move for two days due to the state funeral for Sir Paul Reeves! I was on the committee this year, so it was great to spend some more time at the festival and help to organise it beforehand. Being the new venue there were a lot of extra things to think about and teething issues but the many thousands of students who came through during the week had a wonderful time and some outstanding music was made. Part of my role on the committee was to create and maintain the festival website - of course something I know well and enjoy. Check it out! I had five groups in the festival this year (sorry, no photos this year! 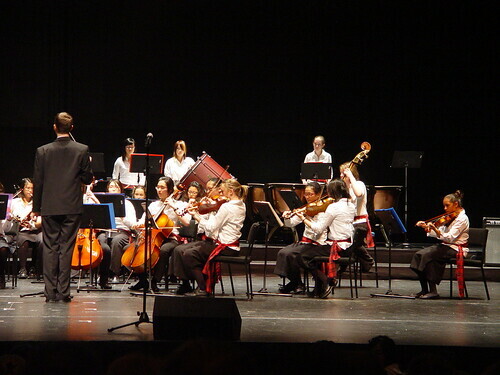 ), the Diocesan School Symphony and Chamber Orchestras, the Carmel College Orchestra and Chamber Orchestras and the Kristin School Symphonia. They all did very well and I look forward to another good year at the festival next year. 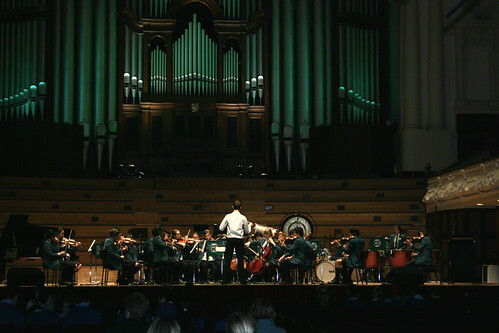 "For the past 25 years, the KBB Music Festival, in association with The Edge® Public Programmes, has been showcasing the best in secondary school orchestras, concert bands and jazz bands in Auckland. 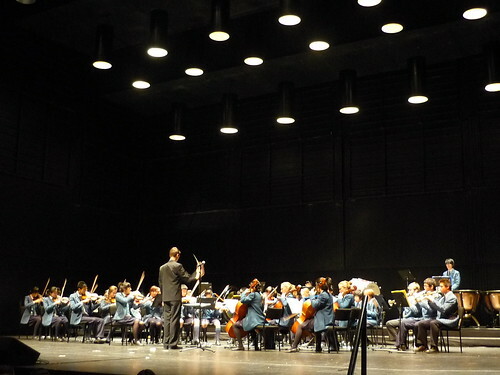 From the small numbers in the original Auckland Secondary Schools Band and Orchestra Festival, the KBB Music Festival has now grown to see over 100 groups competing from more than 40 schools across the greater Auckland region." It was a fantastic few days of music. I saw two full days out of the four days of the festival. 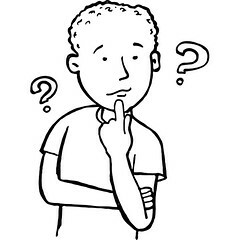 Always interesting to see what others are doing, taking a mental note of ideas for next years' possibilities and also observing how others lead their groups. 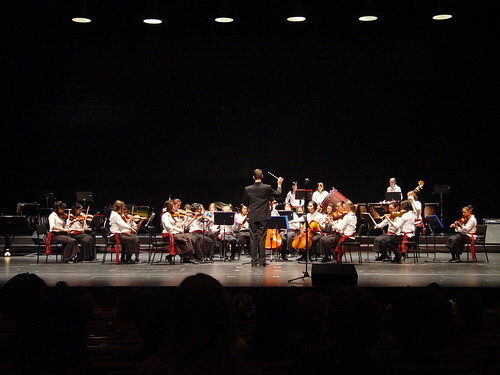 I had three groups competing in the festival this year - the Carmel Chamber Orchestra, Carmel Orchestra and the Kristin Symphonia. 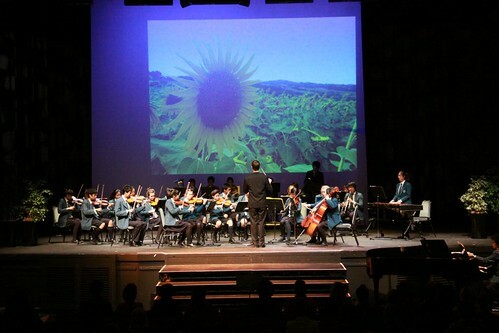 All did reasonably well and each picked up a Bronze award at last night's (three hour epic) gala concert. On the last day I had the pleasure of working with four groups at the Fringe Festival. These are groups under development or not quite meeting the full festival requirements. The whole point is to provide encouragement and constructive feedback to get them primed, pumped and ready for year ahead. It uses the text from Bub Bridger's poem, Wild Daisies. The choir was once again successful in getting through to The Big Sing Finale, along with many other choirs from around New Zealand. 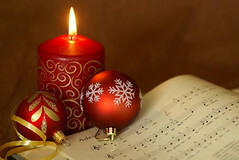 You can see the full list of these choirs at The Big Sing website. Wild Daisies is notated for SSA choir and if anyone is interested in buying a copy please let me know. 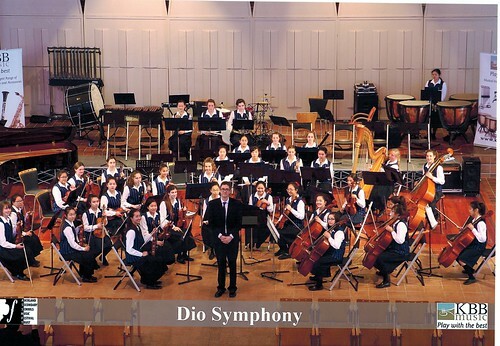 Schools have just started again and that means my orchestras have also. Sensational! 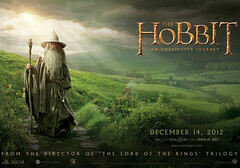 I have been reminded, however, of the huge amount of preparation required to get them underway. Repertoire, auditions, photocopying, sweet-talking, begging, music sorting, rehearsal setup and pack down, chasing up students, score preparation, rehearsal camps - by the time I hit the podium ready to do some real work I'm more ready for a nap than a rehearsal. Still though, every time the tuning A sounds and a hush filters across the ensemble, I, amongst the exhilaration, seem to remember exactly why we are there, why we love it and why all of this perspiration is all of a sudden completely and utterly worth it. This is a piece for the award winning choir, Euphony, from Kristin School. After a lot of hunting I found the wonderful poem "Wild Daisies" by NZ poet Bub Bridger. 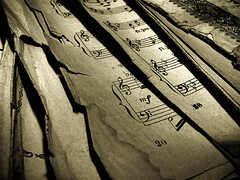 It was hard to find something suitable for school-aged students, something on a happier rather than sad note, and something that would allow lots of musical additions ... perhaps I'm just not well acustomed to hunting down texts. Anyway this is going to be a fantastic piece for unaccompanied choir. There is a flute player I want to write for, a viola player has been begging for a piece, and I have been wanting to write a piece for tuba for a long time. So, this is it. A suite of solo pieces, one for each of these instruments. I'm trying to get some of the movements done before the trip to Brazil, as then I can workshop the pieces with the players there. The title, Tiraki, means to clear the sky or lift away the clouds. Don't worry, that's not the actual title - I'm still deciding. 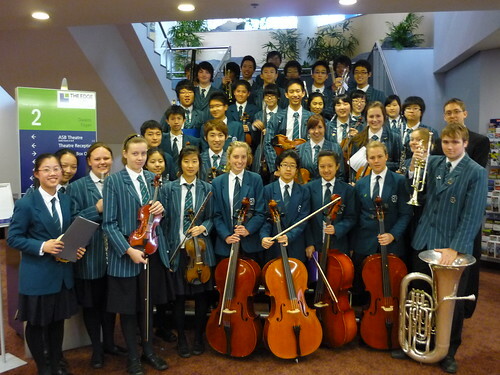 This piece for wind orchestra and choir is well underway and will open the 2010 ERUPT Lake Taupo Festival. This project is possible thanks to the very generous funding by SOUNZ (The Centre for NZ Music) and their SOUNZ Community Commission. We put a call out for texts to use and so they are flowing in. Have started drafting some ideas and have got a good idea of how it's going to turn out. It's going to be a 15 minute, or thereabouts, piece but it is going to be able to be performed as a 5-6 minute piece later in it's lifetime. This, along with the fact that it is suitable for younger players means hopefully it will have a healthy future. As soon as I get back from South America I will be full on writing this piece. These guys were awesome. 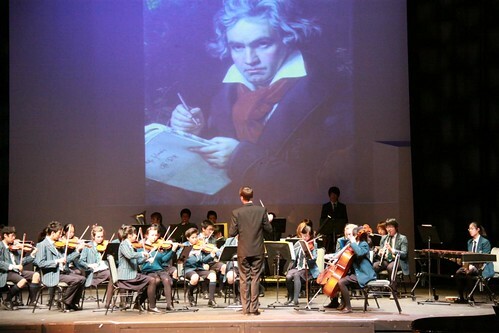 They were playing some tricky pieces and it all went fantastically well. My second biggest disaster of the day happened when I gave a very distinctive cue to the first violins at a place where I know they don't count and it's not clear what's going on musically - they just wait for the cue, a whole two bars early. But thank goodness they entered correctly. 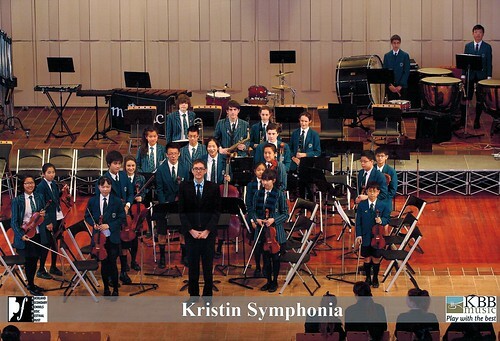 Next up was the Kristin Symphonia. I had such a blast conducting these guys. With one down, I just relaxed and I could tell the players were also just having a great time on stage. Their programme also went wonderfully well. 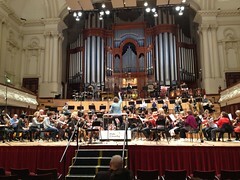 Afterwards I was whisked away to the Carmel Chamber Orchestra who was warming up. While I was putting my favourite baton away ... it snapped!! DISASTER!! It was my favourite baton, which I only use in concerts, got it from America, and has my name engraved. I couldn't believe it. I sulked for a while, but since then however, I have had the superglue out, and it is like new ... well maybe just a little bit wonky. 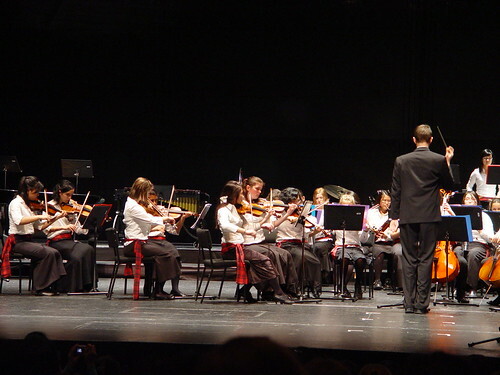 Well finally was the Carmel Chamber Orchestra. Was number three for me, it was 4:40pm and they had been there since 9:30am. But we got up there and gave it everything. Luckily we had some light numbers ... a piece by Silvestri and one by the Beatles. They did very well and were well received by the audience, but maybe, like us, they just wanted to go home. Hey everyone, Well last night was Kristin School's May Magic concert. 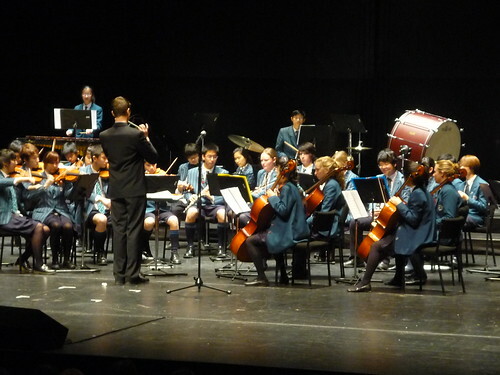 It is their mid-year music extravaganza and last night it went fantastically well. It had everything from the year one and two choir, through to the senior award winning groups. 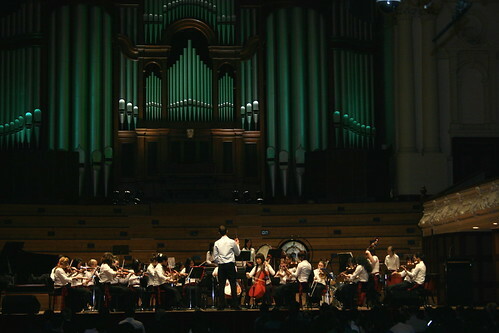 One of my orchestra's, the Kristin Symphonia performed. 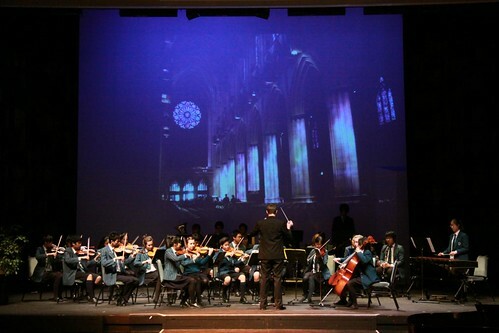 It was our first big performance for the year. A few hairy moments, but went beautiful. I was so proud of them. Panning out to be a good year from them I think.